I’m Jo Murricane, and I live in Leeds. 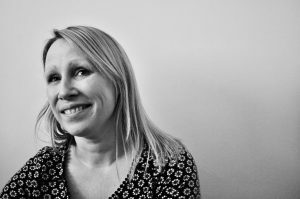 Jo Blogs is mostly about the things I love, like food, drink and discovering exciting new places and events. It’s lead me to be featured in BBC News, Huffington Post, BBC Look North, BBC Radio Leeds, The Daily Mail and the Channel 4’s “Ruth Watson Means Business!”. I’ve also been an official blogger for the BBC Good Food Show. In my work-life, I’m a freelance copywriter (see my portfolio of work on my website). Get in touch now to work with me. This is my personal blog. Sometimes people ask me to review things, and I welcome contact from PRs etc. So sorry to contact you by posting a comment on your blog! Would you mind dropping me an email on brookec@mcmc.co.uk and I can explain what I wanted to talk to you about?